Are you frustrated and exhausted because of chronic, poor sleep? Start to sleep great again so you can feel rested and ready to take on the world! I'm Susan D'Addario, LCSW, Certified Sleep Science Coach and Founder of Back-To-Sleep, a one-of-a-kind sleep and total health wellness coaching program. Why changing what you do during the day is 50% of the game to getting a great night's sleep. Whichever of our services you select, you will go from being sleep-deprived and worn out to feeling rested and amazing! In short, you can count on getting 100% support towards your newfound sleep success! Anyone can go to a sleep doctor for information and addictive sleep meds. At Back-To-Sleep, we offer sleep information, plus expert coaching to help you integrate the new knowledge into your daily life. The combination of awareness with action will catapult you to great sleep, long-lasting happiness, health and overall success. Frankly, there aren't any other sleep and total health wellness programs out there quite like Back-To-Sleep! Our individual and group services are designed to provide you with quick and effective results so you can become your own sleep expert in no time! 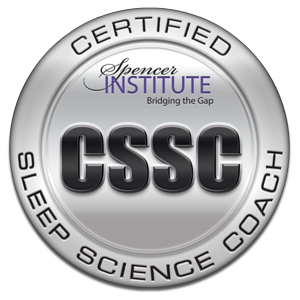 In this 30-minute session, discover if services with Certified Sleep Science Coach, Susan D’Addario, LCSW are a good match for your sleep challenges. No pressure, no strings attached...just a great conversation with someone who listens deeply and sees your value. Learn about the most common challenges to sleep and how to overcome them. A customized package of 4 individual sessions to understand and resolve your specific sleep challenges forever. This 2-hour workshop is designed to provide complimentary sleep strategies to support you in your quest for long-lasting and amazing ZZZ’s. Lecture, group discussion, as well as interactive problem-solving are all included to facilitate your learning experience. Why continue to suffer from draining and damaging sleep loss? Learn the ropes so you can get a great night's sleep and turn your life around!